Interested in a Akron Tooth Implant? Akron tooth implant dentist Joseph G Marcius, D.D.S. 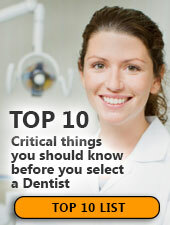 has years of experience and extensive training in the advanced techniques of implant dentistry. Dental implants have helped many people permanently solve problems caused by tooth decay, disease, injury, misalignment, discoloration, and/or deterioration. We also provide dentures, cosmetic dentistry and wisdom teeth. Patients often worry that the cost of dental implants could keep them from getting the care they need. At Chapel Hill Dental Care we work with you to find affordable options. If you've got strong jawbone ridges and healthy oral tissues, you may be a candidate for these natural-looking tooth replacements. 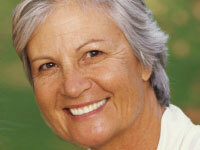 Contact us now to see if this oculd be the solution for you as an alternative to dentures. If you're looking for more information about a tooth implant dentist, call us today at (330) 633-7141 to request a consultation. Or fill out our online form for easy scheduling. At Chapel Hill Dental Care, we have several payment options and we have appointments available when it's convenient for you. If you're looking for a highly-trained implant dentist in Cleveland, you've come to the right place. Dr. Marcius offers implant dentistry that Cleveland residents have come to trust for the highest quality dental care. As a member of DOCS in the Akron, OH area, Dr. Marcius fully supports its mission is to further scientific knowledge and professional education in conscious sedation dentistry to help create a safe and welcoming dental experience to those who avoid seeking care due to fear. 'First visit by first birthday' sums it up. Your child should visit a dentist when the first tooth comes in, usually between six and twelve months of age. Early examination and preventive care will protect your child's smile now and in the future. If you have questions regarding your baby's teeth, please call Chapel Hill Dental Care at (855) 777-5327 and we’ll be glad to provide the answers.